afcstuff.com is pleased to bring an exclusive interview with former Arsenal player, Adrian Clarke discussing the biggest topics of debate surrounding the club following the opening month of the season. Clarke played as a professional at every division including 6 years at Arsenal, where he came through the youth ranks. He is now involved with the club as a presenter and co-commentator on the official online video channel, Arsenal Player. Q: With Xhaka, Mustafi and Perez being signed this summer, have Arsenal addressed every gap in the squad that they faced at the end of last season? AC: Yes, I think the most obvious weak spots have been addressed during the summer window, which is really pleasing. If you look at the squad now, there are at least two quality players battling it out for each position and that’s really important. Those three roles needed beefing up, most people agreed that, so it’s great that the management team recognised it, and acted accordingly. I know that these three signings weren’t as eye catching as Manchester United’s for example, but all of them are first team ready and capable of slotting straight into the starting XI. That’s perfect, because Arsenal didn’t need back ups. It’s all about adding genuine competition for places, which is crucial. These aren’t kids or players past their best either; they are guys who should be approaching their peak years – and this is the biggest move of their respective careers too. We should see plenty of confidence and hunger to impress. I’m excited about all three. The only ‘gap’ might be a winger that goes past players on the outside, especially down the left – although Welbeck can do that of course. Q: How do you see the centre forward situation shaping up with Alexis being used there recently along with the acquisition of Lucas Perez? AC: I see Giroud and Perez battling it out for the right to lead the line. Initially I’m sure Oli will get the nod, and it’s then down to him to ensure the manager can’t afford to leave him out. He’ll know that if the goals dry up, Perez will be given his chance. Having another goalscorer on the bench, might just extract 10% more out of both men too. They will be well aware that they need to hit the ground running every time they perform. Their differing styles will also help the manager. In certain matches he may see Perez’s movement and pace as the better option, or if a game isn’t going according to plan he can now chuck on a replacement that’s of the same level, who will give the opposition a completely different headache. He can rest and rotate in midweek contests too. As for Alexis, his display at Watford proves he can play as a central striker. When he moves that intelligently, with that much hunger, he’s going to tie any rearguard in knots. Do I see him playing ahead of Giroud and Perez as a centre forward? Not really. Most of his appearances will be from the left or right wing. Q: With Elneny and Xhaka arriving this year to add to existing options, how will Arsene Wenger accommodate the midfielders at his disposal this season? AC: He’s going to have some seriously frustrated midfielders on his hands. Should everyone stay fit, the manager will have selection dilemmas aplenty! Mind you, we have said this before and it’s never turned out that way with the treatment room quickly filling up, so let’s not count our chickens! I think Xhaka is in pole position. He defends and creates with equal aplomb, and I like his disciplined positional play too. For me, Coquelin is his natural back up, with Elneny and Ramsey (the two athletic runners) vying for a place next to him if Santi Cazorla has a dip. Sometimes the boss may choose a classy double pivot (Cazorla and Xhaka) that control games with their passing, but on other occasions he may require more legs in the engine room. That’s where Elneny and Ramsey come in. That said, I do envisage Rambo being used out wide a fair but. Arsene Wenger wants him in the side, and handing him a roving role from the right may be his best chance to start. We may even see a 3-man midfield, with Alexis and Ozil roaming around in front? Q: With the loan of Calum Chambers to Middlesbrough and Jack Wilshere going to Bournemouth, are you concerned about the future of Arsenal’s “English Core” players? AC: I’m not concerned, but they do need to have big seasons. It’s clear the manager wants homegrown players in his team/squad, but the English lads have to prove they are the best options at his disposal. Over the last couple of years they have collectively slipped behind some of their teammates and that’s solely down to form. I don’t think they have been poor, it’s simply that others have kicked on. To stay as an Arsenal player for the long term (and I know the painful truth of this) you have to be a truly exceptional footballer. There is no crime in being good, but not quite great enough. It’s a fine line that every player treads. I honestly don’t think there’s a lot to choose between most of the squad, so it’s all to play for. If the English core are going to fulfil their potential at Emirates Stadium they have to step up and make sure they are too good to be left out. They need to play regular football too, though. With that in mind I’m pleased to see Chambers and Wilshere getting game time. Now it’s down to them to show why they are signed up to one of Europe’s biggest clubs. Q: Are there any players in the current Arsenal squad that you feel are underrated for their role in the team and may have a bigger part to play this term? AC: Danny Welbeck is the most underrated player at the club. Injuries have hampered his progress, but he’s a player that can lift the team just when they need it. I know we’d like more goals from Danny, but his pace and directness are a massive plus. He puts opponents on the back foot. Whether he’s deployed down the middle or out wide, when he’s fit and firing again, Welbeck will have a major part to play in the business end. He’s a top man that’s good for dressing room morale, and his skill set is also under appreciated. Q: The importance of the club captain has been a topic of debate with Per Mertesacker the latest player to take the armband. Which players stood out as leaders in your time at Arsenal and what qualities did they provide? AC: During my time as a player we had a dressing room full of leaders. It was a squad full of men, that didn’t tolerate anything less than 100% effort. In different ways, Ian Wright, Lee Dixon, Nigel Winterburn, Dave Seaman, David Platt and Martin Keown were all natural figureheads that had something to say, but this was the Tony Adams era so there was never any debate about the armband! Tony didn’t suffer fools gladly, he was fiercely determined, extremely vocal, encouraging, inspirational and the type of defender that led by example with his football. He was the perfect skipper. It’s a real shame that the modern game doesn’t have as many strong characters like him. The Gunners were fortunate to have him. Q: Do you believe that Arsenal have the strength in depth this season to match that of the most likely title rivals in Man Utd, Man City and Chelsea? AC: I think you could argue that Arsenal have a more balanced squad than all those teams. In most positions I’d say that the ‘back ups’ were of a better standard. So depth wise I don’t think there’s a problem. The crux of the matter is mental toughness. Can the Gunners churn out wins when they’re not playing well? Can they deliver 7 or 8 out of 10 performances most weeks? United, City and Chelsea have more players that have won titles, so in that respect they are on safer ground I guess. This is hopefully the season when Ozil and Alexis both hit it off at the same time more often. It needs to be the year when Koscielny stakes his claim to be the best defender in the division. It must be the campaign when Giroud, Walcott, and Ramsey prove the critics wrong with 30-plus performances of note. If those things happen, we’ll be hard to stop. I don’t think Arsenal have anything to fear from their rivals. We did finish above all of them last season, after all! The key now is to have fewer slip ups. That will come down to mental resolve, more than squad depth. Q: What lessons can Arsenal collectively learn from falling short last season in their pursuit of silverware this season? AC: They have to meaner at both ends of the pitch. Last season Arsenal squandered too many opportunities in front of goal, and made too many individual errors without the ball, to finish top of the tree. The very best sides are always ruthless and that’s an ingredient the side lacked to some degree. The talent is there. The quality of football, we know, is excellent. It’s being united as a unit, and staying ice cold in the big moments that will make the difference. Will we raise our game against the Big Five and defend with great heart and intelligence? Can we take the chances that will inevitably come our way against Chelsea, Spurs, City, United, Liverpool, Leicester and co? Those are the questions – and I hope the answers are yes. As long as the collective spirit is there, and those opportunities are grasped, Arsenal will be in the mix. You can follow Adrian Clarke on Twitter (@adrianjclarke) and see him every week presenting ‘The Breakdown’ and ‘The Match Day Show’ on Arsenal Player. The 2016 summer transfer window has been one of monumental, record-breaking change in the football world. With English clubs now having an unprecedented amount of money due to the Premier League’s lucrative TV deal, total spending for the window is set to reach £1 billion for the first time ever. Thirteen out of the 20 Premier League clubs have broken their transfer record this summer, including Manchester United’s world-record £89 million signing of Paul Pogba from Juventus. So where do Arsenal fit into all of this? It’s been a typically testing summer, with the club yet again waiting until later in the window to take care of business and, as a result, leaving the team looking undercooked for the start of the season. Thankfully Arsenal got the required business done in the end, but at the cost of a potential 5 points. With the window finally shut, here are Arsenal’s notable ins and outs from this summer. The key word here is notable—keep in mind that I’ve only included significant transfers of first team players. With all the fuss about how desperately Arsenal needed a striker and a center-back this summer, the signing of Granit Xhaka went under the radar a bit. The Swiss midfielder seems to enjoy pinging diagonal long balls as much as he does charging into a 50-50, obtaining a fascinating blend of tenacity and craft to his play. The 24-year-old gave a glimpse of what he’s all about against Watford and it already seems like he’ll be a key player for the Gunners this season. I can’t pretend to know much about the little-known Japanese striker besides the fact that his name is quite fun to say, but winning the J League’s “Rookie of the Year” award and a pair of goals scored at the Olympics for Japan is certainly promising. After failing to obtain a work permit to play in England, the 21-year-old will go on loan to Stuttgart for the season. Wenger has said that Asano is “one for the future,” so keep an eye out for him in Germany. After a baptism of fire in the form of a 4-3 home defeat to Liverpool on the opening day of the season, Holding has put in some impressive performances alongside Laurent Koscielny in the heart of the Arsenal defense. With an experienced partner next to him, the 20-year-old has settled into Arsenal’s back line with surprising ease, already dealing with the likes of Jamie Vardy, Troy Deeney, and Odion Ighalo. Considering his age, Holding looks remarkably poised and assured at the back. It’s early days, but £2 million looks like an absolute bargain for the young Englishman. Hats off to Wenger for this one. While Lucas might not be THE striker Arsenal fans have been craving for years, he’s an exciting signing nonetheless. Not only does he offer the Gunners a much-needed alternative to Olivier Giroud, but his versatility means he can play anywhere across the front line. Having only just proven himself at hometown club Deportivo La Coruña with a 19-goal season after years of being loaned out, the 27-year-old will be hungry to prove himself on the biggest stage of his career thus far. The Spaniard’s explosive pace and nasty streak have led some to call him “the Galician Jamie Vardy,” but it remains to be seen how he adapts to English football. Not only did Arsene Wenger spend more than £30 million on one player this summer, but he did it twice! £35 million might be a lot for a defender, but it seems like money well spent when you consider the fact that Chelsea spent £32 million to bring back David Luiz after refusing to pay an absurd £60 million for Napoli’s Kalidou Koulibaly. At the prime age of 24, Mustafi can be the natural heir to Per Mertesacker as Koscielny’s defensive partner. First, however, he’ll have to get Rob Holding out of the team. Arsenal’s Polish keeper will spend a second consecutive season on loan at Roma after making 34 Serie A appearances for the club in 2015-16. At 26 years of age, Szczesny still appears to lack the professionalism and attitude to succeed at Arsenal as he was yet again caught smoking last season following Roma’s 6-1 Champions League defeat to Barcelona. His recent moment of madness in a Champions League qualifier against Porto reminds us that he still hasn’t ironed the propensity to commit costly errors out of his game. The loaning out of Joel Campbell was a move that left a number of fans scratching their heads. During the limited play time that he was given last season, the Costa Rican always worked hard both to create something going forward and to win the ball back in defense, making him an extremely useful squad player. It turns out that Campbell’s loan move abroad—the 5th in his Arsenal career—came from his desire to play first team football rather than Wenger’s lack of faith in the player. Respect to Campbell for wanting to play more, and let’s hope he does well with Sporting Lisbon. It became clear that Chambers had fallen down the pecking order at the Emirates when Wenger picked new signing Rob Holding to start alongside Laurent Koscielny in Arsenal’s last two Premier League matches. Still just 21, the former Southampton man is extremely young for a center back and still has a long way to go in his career. A loan spell at another Premier League club and the consistent playing time that comes with it should give Arsenal a better sense of where Chambers currently is in his development. A transfer that came out of left field, as Gnabry was expected to stay at Arsenal this season and fight for his place after tearing up the Olympics in Rio with six goals for Germany. Instead, the 21-year-old will ply his trade at Werder Bremen in the Bundesliga. It’s a shame to see an exciting youngster depart on a permanent basis, but we wish Gnabry the best as he returns to his homeland. 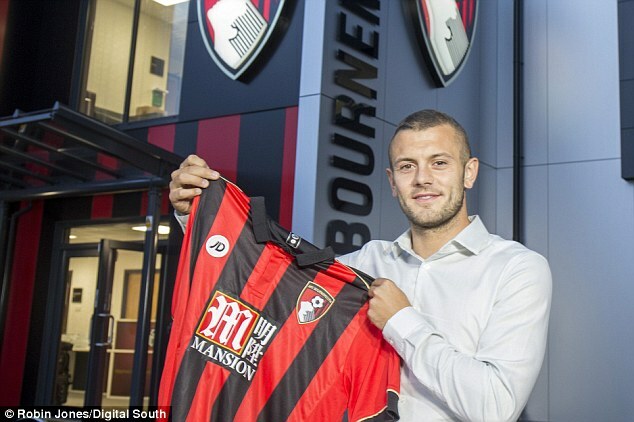 Rarely has there been a transfer that made Arsenal fans feel as many emotions as they felt regarding Jack Wilshere’s loan move to AFC Bournemouth. There’s something surreal and slightly sad about seeing the Arsenal midfielder hold up a Bournemouth jersey on deadline day. No disrespect to Bournemouth—an incredible club with a brilliant story—but remember that Wilshere won the PFA Young Player of the Year award in 2011 (!) and was supposed to be much further down the line in his career by now. Alas, injuries have taken their toll on the 24-year-old and he now finds himself in need of some serious playing time to get back on his feet and playing to his full potential. It’s a testament to Arsenal’s options in the middle of the park, too, that the club felt the need to loan Wilshere out in order for him to play regularly. After all, he’d have to compete with Mesut Özil, Granit Xhaka, Aaron Ramsey, Santi Cazorla, Francis Coquelin, and Mohamed Elneny to get into Arsenal’s midfield—that’s quite a tall order. While it would’ve been great to watch Wilshere break into the Arsenal starting XI, at the end of the day it’s in Wilshere’s best interest to spend a season somewhere he can consistently play Premier League football and get his career back on track. While Arsenal didn’t get the coveted marquee striker that fans wanted, they did sign a central midfielder and a center back—two key areas that needed strengthening. Granit Xhaka could very well anchor the Gunners’ midfield for years to come, while Shkodran Mustafi is as good of a center back as we could have wished for. The purchase of Rob Holding looks quite clever, too, and Lucas Perez might raise a few eyebrows this season. Although some of the last-minute loan departures leave the squad a bit lacking in terms of attacking options, most gooners will be satisfied with this transfer window and excited for the season that lies ahead. Arsenal’s Jack Wilshere has completed his loan move to AFC Bournemouth, the Premier League club has announced, as the midfielder searches for first-team football. With Arsenal adding new signing Granit Xhaka to the likes of Aaron Ramsey, Santi Cazorla, Mohamed Elneny and Francis Coquelin this summer, Wilshere’s route to the first team has been complicated further. The 24-year-old was reportedly loan listed by the Gunners yesterday, as he held talks with both Crystal Palace and Bournemouth, meanwhile Serie A giants AS Roma and A.C. Milan also came in contact with Arsenal regarding a move, Sky Sports News reports. Despite Roma’s strong interest, the north Londoners are thought to have pushed back the Italians’ offer due to their conduct in an apparent pursuit for Greek defender Kostas Manolas this summer. Subsequently, both the Gunners and Wilshere agreed to the Englishman’s season-long loan to Bournemouth, which will see the midfielder reunited with ex-Arsenal academy player Benik Afobe, who joined the Cherries last season for £11.3 million in January 2015. Wilshere made just 14 appearances in an injury-ravaged 2015/16 season, meanwhile the England international has since made two substitute appearances since the start of the new campaign. Arsenal have confirmed the capture of Valencia centre back Skhodran Mustafi, a deal thought to be in the region of £35 million, as Calum Chambers agrees to join Premier League club Middlesbrough on loan. The Gunners have been searching for a central defender more openly ever since the injuries to Per Mertesacker and Gabriel Paulista, with Mustafi identified as the club’s primary target. Under habitual circumstances, no details of the deal that takes the Germany international to the Emirates Stadium have been disclosed officially by the club as of yet, but outlets such as the Daily Mirror have moved to claim the so-often reported £35 million as his price tag. Mustafi appeared 64 times in La Liga for Valencia during his two-year-spell in Spain, having joined from Italian club Sampdoria in the summer of 2014 for £6.8 million. Mustafi joins the likes of Lucas Pérez, who also signed for the Gunners today, Granit Xhaka, Rob Holding, Takuma Asano and Kelechi Nwakali as the sixth signing made by the club this summer, meanwhile Chambers becomes the latest to leave north London in the past hour. With first-team opportunities now limited further by Mustafi’s arrival, Arsenal have announced the completion of Chambers’ loan deal to newly-promoted Middlesbrough, a move that’ll see the 21-year-old play under Aitor Karanka’s side for the remainder of the season. Arsenal have announced the signing of Deportivo de La Coruña forward Lucas Pérez, with no official word being made by the club on the details of the deal. As per various reports last week, the Gunners were prepared to pay the Spaniard’s £17.1 million release clause to capture his services, as they beat Everton to the 27-year-old’s signature. Lucas joins Arsenal on the back of a goal in Deportivo’s opening clash against Eibar in La Liga, whereas he was on target 17 times last season for the Galician outfit. Arsenal’s latest recruit also matched Bebeto’s 22-year-old club record for goals in consecutive games, finding the back of the net against the likes of Barcelona and Atlético Madrid throughout his run of seven goals in as many games last season. The signing of Lucas is widely-expected to be followed by the capture of Valencia’s Shkodran Mustafi, meanwhile the likes of Calum Chambers, Jack Wilshere and Serge Gnabry all reportedly brace themselves for new surroundings. With Wenger looking for experience and value, Mustafi is a near perfect option. Half a century of Serie A appearances for Sampdoria saw him gain a move to Spain, Valencia picking up the German international for a bargain price; a rumoured €8m. His quickly put together partnership with Nicolas Otamendi sought plaudits from those watching on, Mustafi even a slight bright spark in what was a dim past season for the Valencian club. The 24-year-old is mature in his decision making, trusted by his club and international coaches. His relaxed nature allows him to deal with pressure, keeping his head and passing confidently from the back. Using his intelligence, Mustafi is rarely out of position or late to the tackle. The German asserts a sense of authoritative calm on the field and is well rounded in his qualities, capable of performing a number of tasks in a number of roles. Despite his moderate age Mustafi has a vast footballing education and a wealth of experience. His youth experiences in Germany and in England, with Everton, helped him develop a combative spirit whilst spells in Italy and Spain have refined his intelligence and passing abilities. Marco Reus’ misfortune was Mustafi’s advantage, taking the forwards place in the Germany squad for the 2014 World Cup. Subbed in twice in central defence, Mustafi coped extremely well and was even trusted to play right-back in the round of 16 but was unfortunate as injury cut his tournament short. Two years later he started against Ukraine in EURO 2016, heading home the opener for his country. With a shortage of senior central defenders in the squad, Arsenal have struck gold. The combination of experience, utility and calmness makes Shkodran Mustafi’s transfer a no-brainer for Arsene Wenger and his men. Mustafi would look to consolidate his place in central defence but his dependability at right back would have been looked at and appreciated. Arsenal forward Joel Campbell has joined Sporting on a season-long-loan, following confirmation made by both clubs this afternoon. Campbell, who hasn’t featured in any of Arsenal’s matchday squads in the Premier League this season, arrived in Lisbon over the weekend to complete the deal, with there being no indication as of yet of a buy-option. Sporting’s reported interest in Campbell, who can also play as a winger, dates back to the 2014 season, with current boss Jorge Jesus, then manager of rivals Benfica, also being associated with a move for the Arsenal man. In that time, the Costa Rica international has found his path to the Arsenal first team blocked by the likes of Alexis Sánchez, Alex Iwobi, Alex Oxlade-Chamberlain and Theo Walcott. Having joined the Gunners back in the summer of 2011 from Saprissa, Campbell was forced to spend three consecutive seasons out on loan to Lorient, Olympiacos and Real Betis, due to work permit issues. His return to north London was intersected by another loan spell, this time with Villarreal in La Liga during the 2014/15 season, making his most recent adventure with Sporting his fifth loan move since signing for Arsenal. Campbell did, however, play 30 times for Arsène Wenger’s side last season, as he scored four times in the 2015/16 season. 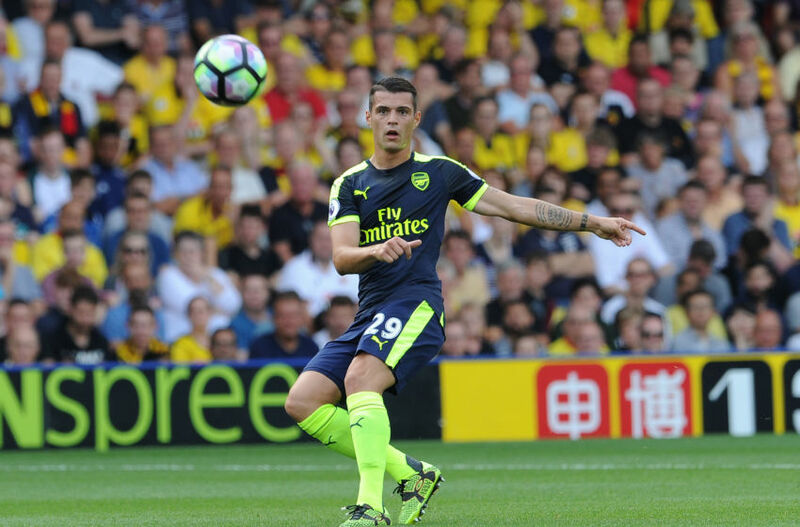 Arsenal midfielder Jack Wilshere has praised new signing Granit Xhaka following the Swiss midfielder’s arrival at Arsenal. Xhaka, 23, completed his move to North London in May for a fee in the region of £34m, after captaining German side Borussia Möchengladbach to the top-four finish in the Bundesliga last season. Xhaka has been highly impressive for Arsenal in pre-season. After a brilliant 45 minute cameo on his first appearance for the club against the MLS All-Stars, the young midfielder hasn’t looked back since and now looks set to start in Arsenal’s Premier League opener versus Jürgen Klopp’s Liverpool on Sunday. Arsenal goalkeeper Wojciech Szczęsny has returned to AS Roma on a season-long loan, both clubs have confirmed. Szczęsny, who fell out of favour at the Emirates Stadium following Petr Čech’s £12 million arrival from Chelsea last season, branded his spell on the Arsenal bench as “a waste of time” to Il Tempo back in May, meanwhile also highlighting how much he’d learned at the Italian club in comparison to his time with the Gunners. After a successful loan spell with Roma that saw the Poland international appear 42 times last season, Szczęsny makes his long-awaited return to the Italian capital, where he’ll be joined by summer signing and former S.C. Internacional goalkeeper Alisson. Following reports of an option-to-buy being included within the deal agreed between both parties, details of the loan move are yet to be clarified. Szczesny, who joined Arsenal from Legia Warsaw back in 2006, went on to appear 181 times for the Gunners after making his debut versus West Bromwich Albion in 2009. The 26-year-old won back-to-back FA Cups in his time with the north London club and shared the Premier League’s Golden Glove award with Čech in 2014, topping the clean sheet charts with 16. Nigeria youth international Kelechi Nwakali has confirmed his move to Arsenal on social media while an announcement from the club is still pending. Having first been linked with a move to North London in December of last year, Nwakali has completed his move from Diamond Football Academy in his home country. The 18-year-old took to Twitter (@Kelechi_nwakali) to reveal photos from the Arsenal training ground after completing his first training session with the club. Nwakali first garnered worldwide attention after his exploits at the 2015 Under-17 World Cup in Chile where he scored 3 goals and was awarded the Golden Ball for best player of the tournament as Nigeria won their 5th title. It remains to be seen whether Nwakali will be involved with the first team squad for the 2016/17 season or whether a loan move is planned for the promising Nigerian youngster.